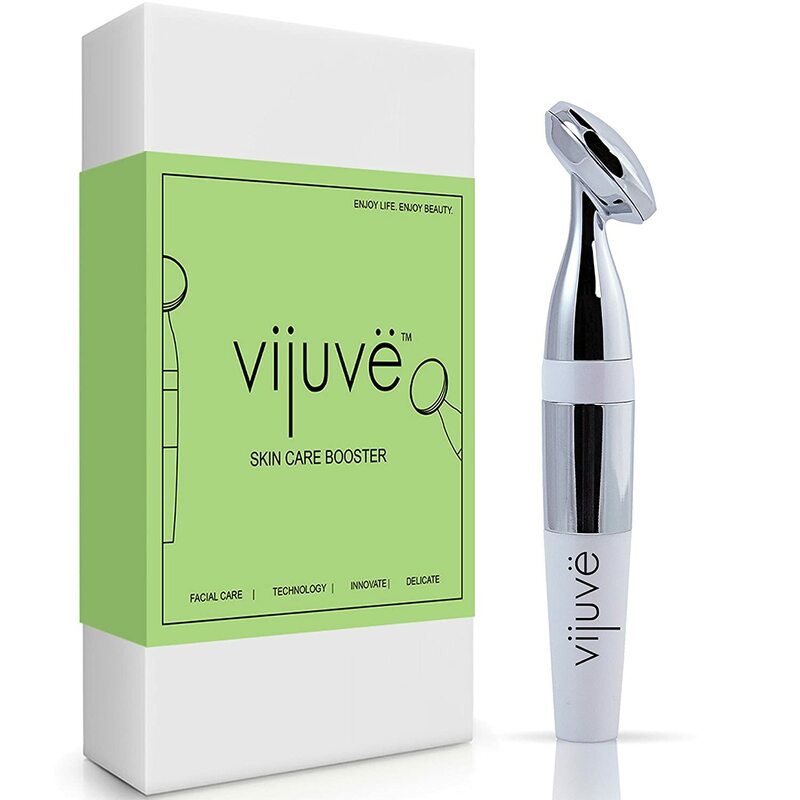 What does the Vijuve Skin Care Booster do? As advertised, it can help tighten skin, distribute creams evenly, get rid of dark eye circles, and prevent aging signs by lifting the face contours. If you’re unhappy with those facial lines, then this product may be your new best friend. But should you get one? What do previous buyers say about their unit? Does it work? Let’s find out in this anti-aging face massager by Vijuve review. – FDA Approved. Yes, it is approved by the FDA according to the sellers. – No Charging. 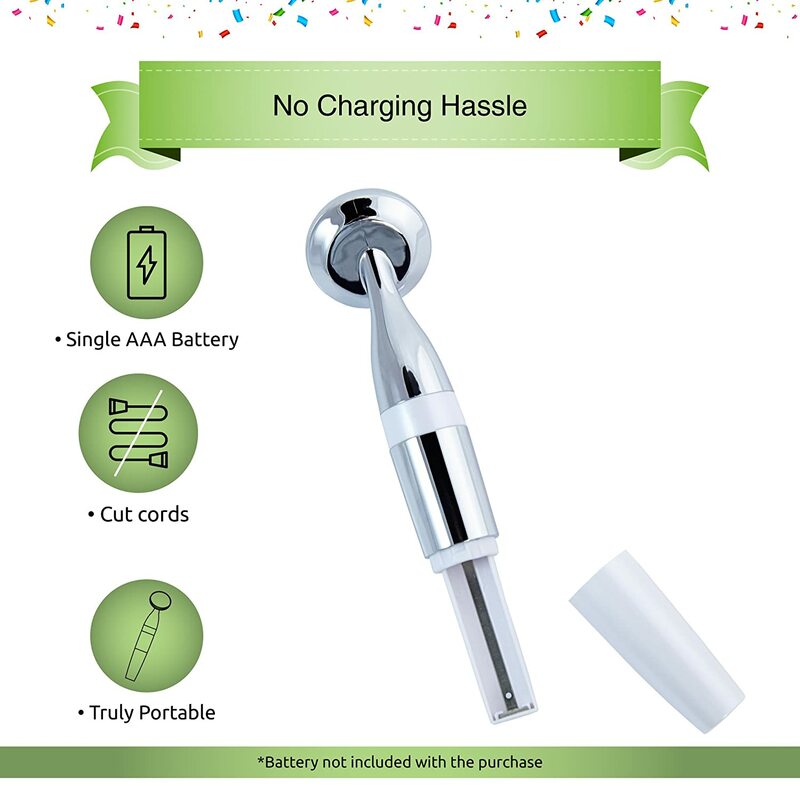 If you hate wires and charging from time to time, then take comfort in the fact that this Vijuve skin tightening device is battery-operated. As advertised, it requires only one AAA battery, which should last up to 3 weeks. – Portable. It’s sleek and slim. It’s only 5.5 inches in length (or height) and weighs only 1.8 ounces (or 40 grams). Put it inside your bag, and you won’t even feel it’s there. – 9,000 Vibration Per Minute. This should help normalize the oily sebum of your skin, thereby helping rebuild collagen, tighten up pores, and promote blood circulation. – Ion Sensing Technology. The Skincare Cream Booster comes with an ion-massage head, which automatically starts vibrating when it touches your skin and automatically turns off when you take it off your face. Here’s a product demonstration of the Vijuve. Here are the comments given by previous buyers about the Skin Care Booster. – Results. The results vary from person to person, and much of this device’s success is dependent on how consistent you are with usage. This goes without saying that age also plays an important role. That being said, many previous buyers can attest to the following changes: softer skin, better serum absorption, brighter and firmer skin, smaller pores, tighter skin, toned skin, glowing skin, and softened lines on face. 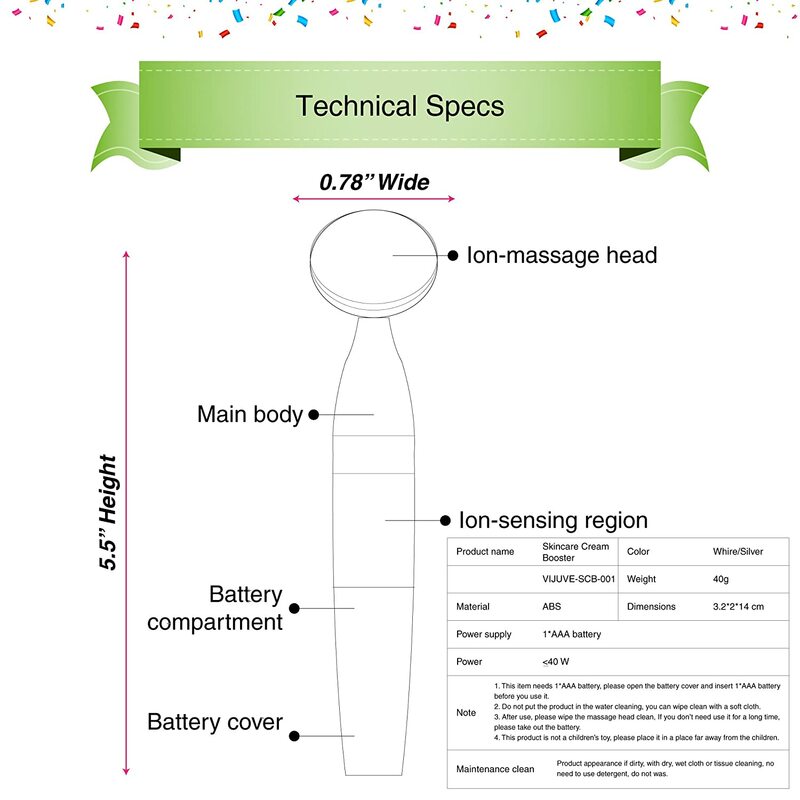 Compared to other products such as the derma roller, this face massager yields better results according to one buyer. – Unexpected Benefit. Aside from improving the texture of your skin, this anti-aging device can also be therapeutic. For instance, one person said she has migraine and this helps her relax. – Usage. No question about it, this product is easy to use. – Limitation. This is not a waterproof device. Based on general feedback, the Vijuve Skin Care Booster does deliver its promised results. With regular use, this face massager can help you have glowing, softer, and tighter skin. It also helps distribute serums and creams into your skin. That said, if you’re looking for an anti-aging product that works, buy the Vijuve Skincare Cream Booster.